Get complete visibility of your deals across stages and move them between stages in simple steps. Prioritize, track, monitor and close deals like never before. The only way to improve revenue is to close deals faster. This however requires rightly identifying the sales opportunities and tracking them from start to end. For most sales teams at growing companies, this often remains a challenge. Capturing, organizing, monitoring and tracking opportunities becomes a bigger challenge when sales team members do not have a single place to refer to. All this results in chaos, lost productivity and ultimately lost revenue. Deal management software offered by EngageBay streamlines the sales processes and improves efficiency. Adding deals, managing pipelines, tracking progress is simple and easy. EngageBay gives you complete visibility into your deals across all stages. 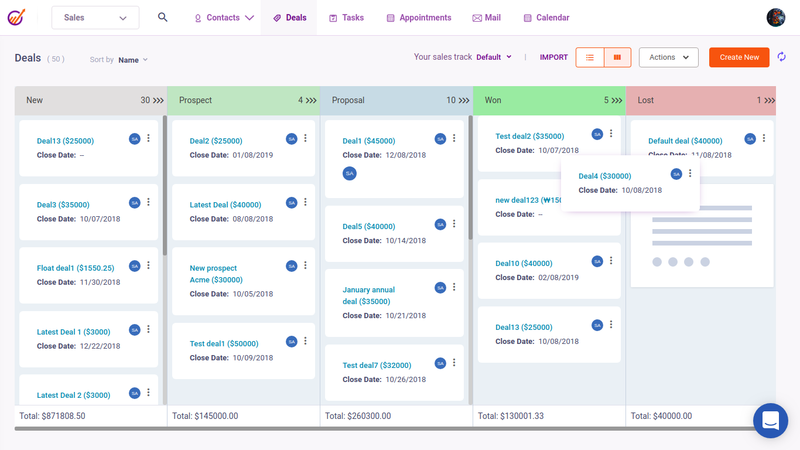 Visually you can monitor how many deals are in each stage, sort and filter by their expected close date, and make meaningful decisions. Let EngageBay manage your deals while you focus on selling. 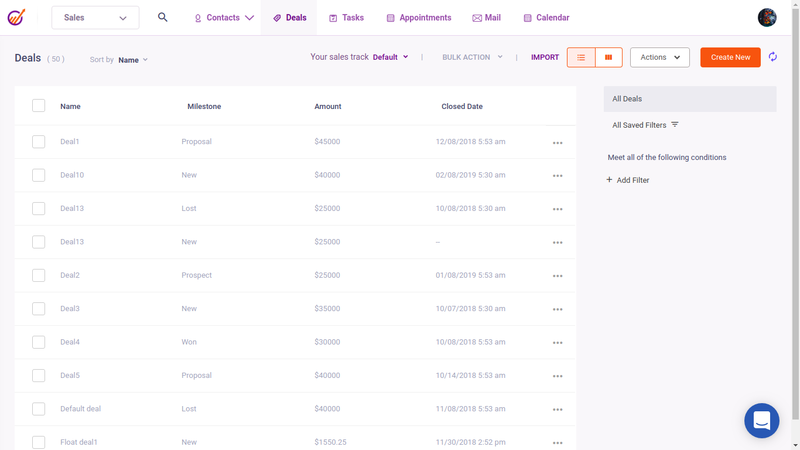 Create multiple tracks for your deals to match your business needs. Manage each track effectively by updating the stage as they are achieved. Prioritize deals based on the progress and avoid spending time on manually finding high potential deals. Our best deal management software allows you to effectively manage all your tracks and ensure you never lose out on a great opportunity. 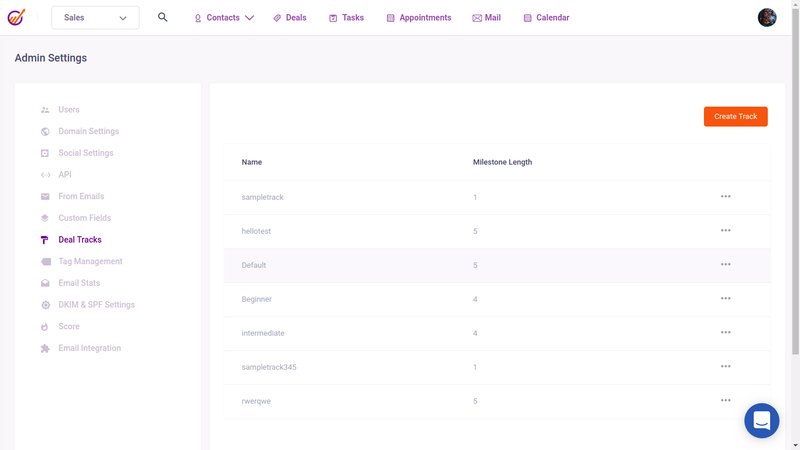 Manage your pipeline real-time, to identify individual and team performance. Figure out the highs and lows, take appropriate actions to meet your goals. 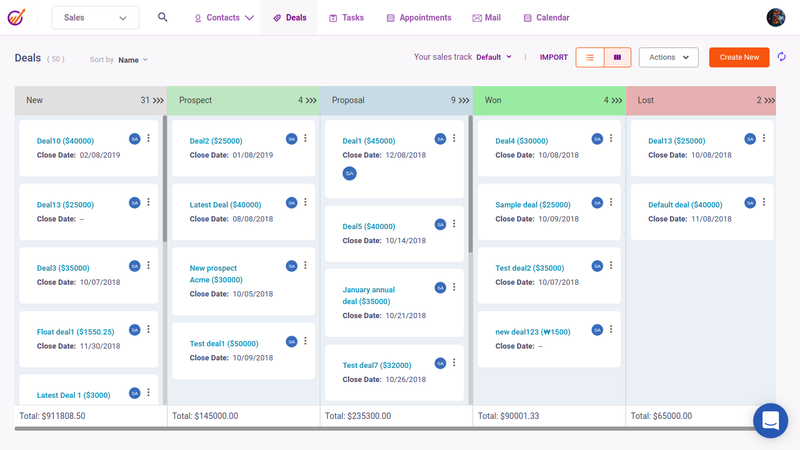 EngageBay provides a visual representation of what is in your pipeline so it becomes easy to see where you are on each deal and make smart decisions. Within each deal stage, you can also see exactly where each opportunity lies, how long it’s been there, whether it’s overdue, and other factors. 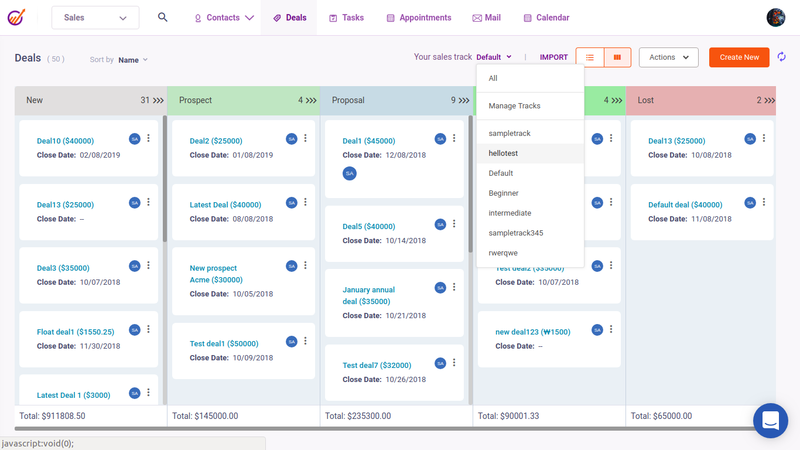 Get an instant view into your sales pipeline by looking at the number of deals in each stage. This will provide you deep insights into the sales processes, business numbers you can expect in coming days and several other valuable information. Moving deals between stages is quick and easy with EngageBay's Deal Management software. Simply drag and drop any deal into any stage you wish. Absolutely zero learning curve. You can also move the deal to win or lose based on the outcome, through a simple drag and drop operation.